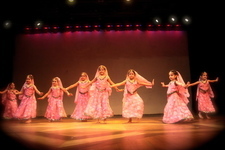 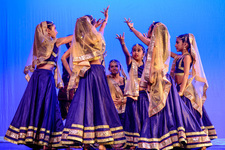 The fusion of Indian classical, folk and Bollywood dance steps to the sounds of popular Indian Bollywood music. 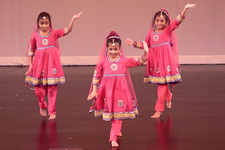 With no past experience necessary, learn choreographed moves to Bollywood’s hottest beats. 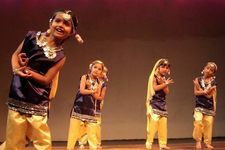 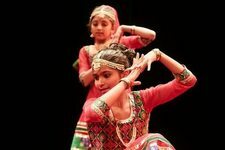 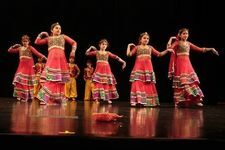 This class is an introduction to Bollywood dance and focuses on the absolute basics concentrating on beat recognition, body movement and building stamina. 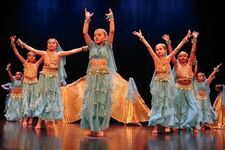 Instructor: Punchali Khanna Kumar 1/4 1 1/11 2 1/18 3 1/25 4 2/1 5 2/2 6 Saturday Rehearsal 2/3 7 Sunday Rehearsal 2/7 MTES This is US International Night 2/8 8 2/15 9 2/22 10 3/1 11 3/8 OFF 3/15 12 3/22 13 3/29 14 4/5 15 4/12 OFF Spring Break 4/19 OFF Spring Break 4/26 16 5/3 OFF 5/10 17 5/11 Dulles Expo 5/17 18 5/24 OFF Memorial Day Weekend 5/31 OFF 6/2 NYC Show Additional weekend rehearsals have been added to ensure students are appropriately prepared for upcoming shows. 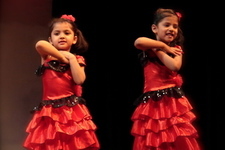 Timings will be discussed with registered parents. 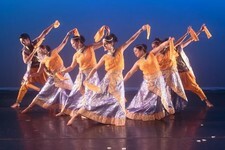 The fusion of Indian classical, folk and Bollywood dance steps to the sounds of popular Indian Bollywood music. 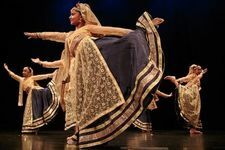 With no past experience necessary, learn choreographed moves to Bollywood’s hottest beats. 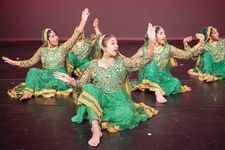 This class is an introduction to Bollywood dance and focuses on the absolute basics concentrating on beat recognition, body movement and building stamina. 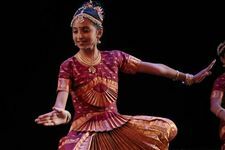 Instructor: Punchali Khanna Kumar 1/7 1 1/14 2 1/21 OFF MLK 1/28 3 2/1 4 Friday Rehearsal 2/2 5 Saturday Rehearsal 2/4 6 2/7 MTES This is US International Night 2/11 OFF 2/18 OFF President's Day 2/25 7 3/4 8 3/9 9 3/11 OFF 3/18 10 3/25 11 4/1 12 4/8 OFF 4/15 OFF Public School Spring Break 4/22 13 4/29 14 5/6 15 5/10 16 Friday Rehearsal 5/11 Dulles Expo Additional rehearsals have been included to ensure students are appropriately prepared for the shows. 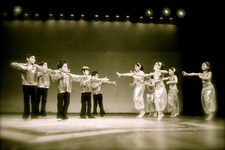 Final class time will be discussed and confirmed with all registered parents.